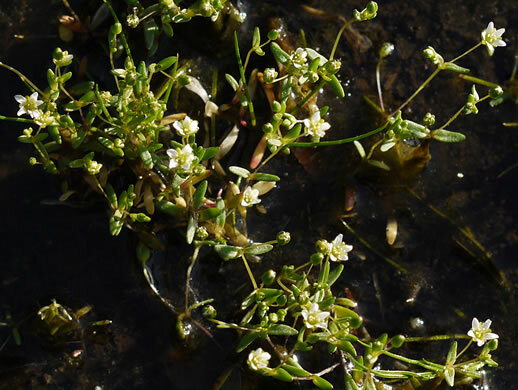 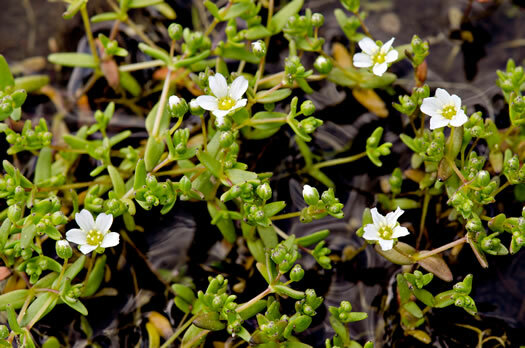 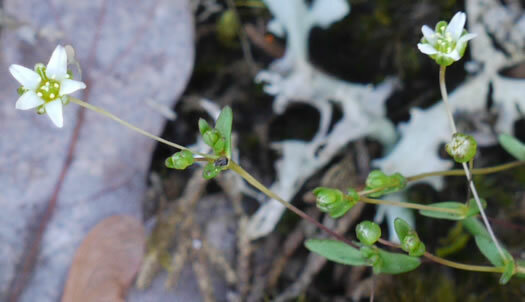 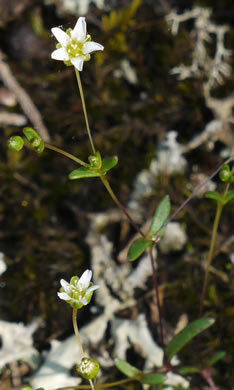 Stems erect, stem leaves few & reduced in size upward, to 2-5(-7)mm long, per Weakley's Flora. 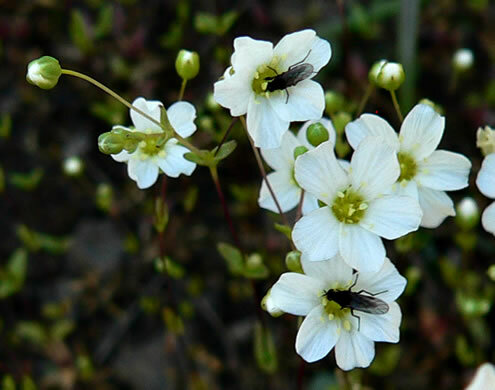 M. alabamensis has been shown to be a self-pollinating form of M. uniflora, per Weakley's Flora. 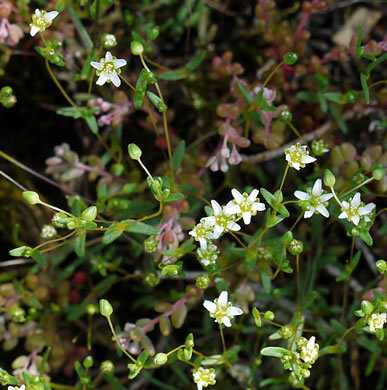 M. alabamensis, named on the basis of its tiny flowers, per Weakley's Flora.